The Planetshakers will be on a back to back concert with Israel Houghton & New Breed on April 21, 2012 (Saturday) at the Smart Araneta Coliseum at 7:30PM. Gates will open at 5:30PM. The Planetshakers band is an Australian rock and worship band, a part of Planetshakers City Church (formerly Melbourne City Church). 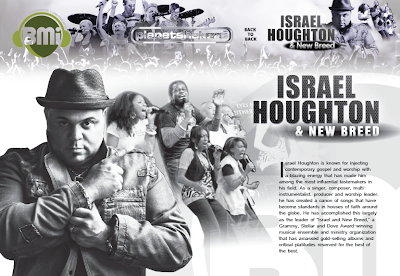 Their music is a contemporary style of praise and worship tempered with mainstream rock and pop. The band is an integral part of their events. The 2003 Australian Idol winner Guy Sebastian was also a part of the Planetshakers band for several years, taking both lead and backup vocal parts on the 2002 and 2003 albums and conferences. Many of the musicians originated from Youth Alive South Australia, which also released CDs. 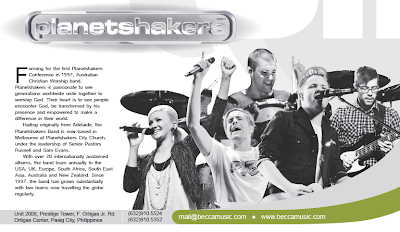 Some of the songs written by current band members for the Youth Alive albums, such as 'Phenomena' and 'God of Miracles' (from Youth Alive Western Australia) have also featured on Planetshakers earlier albums. Don’t miss the chance to be part of this historic collaboration between two of the most well-loved Contemporary Christian artists that brought you Planetshakers hits: “Nothing is Impossible”, “Even Greater”, “The Anthem”, and Israel Houghton & New Breed hits: “Lord You Are Good”, “Friend of God”, “Moving Forward” and many more! 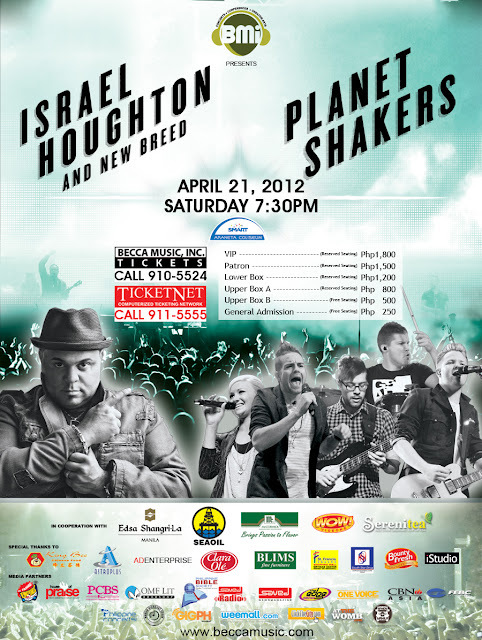 Join us as we worship the Lord and praise Him at the Smart Araneta Coliseum on APRIL 21, 2012 – 7:30 PM with the PLANETSHAKERS and ISRAEL HOUGHTON & NEW BREED! Call Becca Music, Inc. at (632) 910-5524) or TicketNet at (632) 911-5555 for tickets.